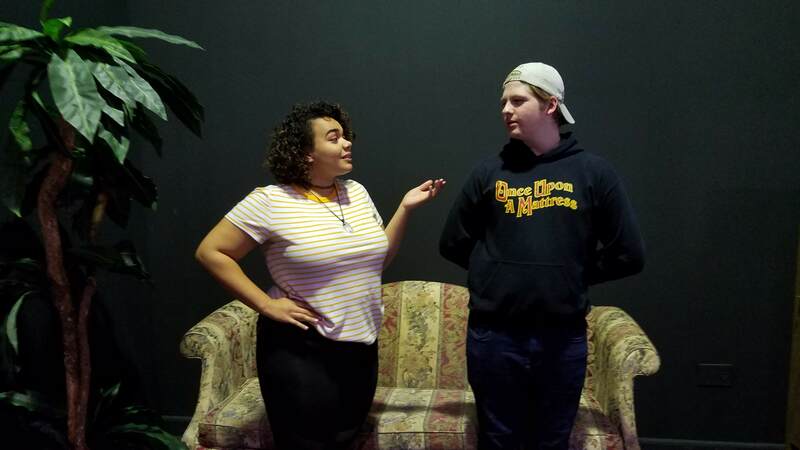 The Carmel High School Drama Club is deep in rehearsal for Thornton Wilder’s The Matchmaker. Julie Daza and Anthony Velez, under the guidance of the club’s Drama Advisor, Margaret Carey, direct this classic comedy. Wilder’s uproarious farce about love and money stars the irrepressible busybody, Dolly Gallagher Levi (Alieyah Brown), who inspired the Broadway musical, Hello, Dolly! Through Dolly’s subtle machinations, several unlikely couples come together to find happiness in 19th-century New York. The talented cast of Carmel High School students includes Benjamin Antoniuk, Morgan Argentieri, Alieyah Brown, Franchesca Cabrera, Mariana Daza, Allison Devane, Julia Field , Jen Gerace, Matthew Gianfransico , Jake Groundwater, Ben Hitchcock, Lauren Hoffmann, Hannah Loughran, Ayden Mallegol, Ashlyn Manfro,, William Meyers, Olivia Murillo, Stephanie Ogbebor, Madeline Olsen, Amanda Purr, Jimmy Purr, Melissa Rice, Allison Sanel, Beck Spears, Ashley Suppa, Angelina Trongone, and Caelyn Tuffy. 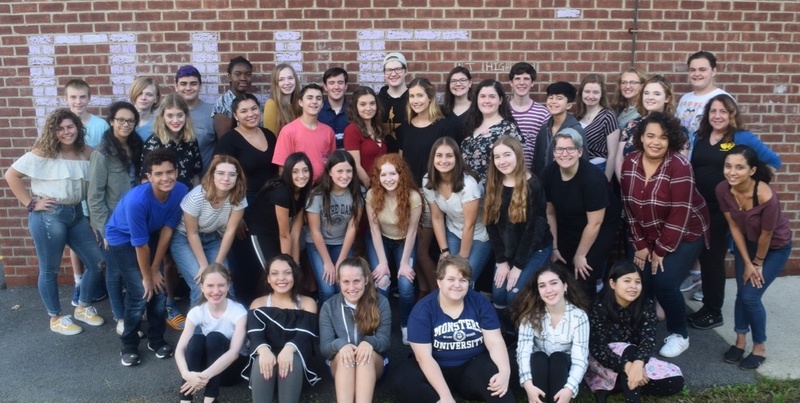 CHS Senior Lydia Rubin is the Stage Manager for the student crew Meaghan Connors, Tiffany Duch, Adam Friedman, Autumn Laughlin, Emily Medina, Tessa Price, Kayleigh Ravert, Clark Rubin, and Meg Young. Take a trip to nineteenth-century New York and meet the cast of characters including the curmudgeon, Horace Vandergelder, his clerks, several lovely ladies, waiters of a fancy restaurant and, of course, the irrepressible, Dolly Levi. “The Matchmaker” is presented by special arrangement with SAMUEL FRENCH, INC.
Matchmaker, Dolly Gallagher Levi (Alieyah Brown) tries to find the perfect match for Yonkers businessman, Horace Vandergelder (Ben Hitchcock). Cast and crew of The Matchmaker. 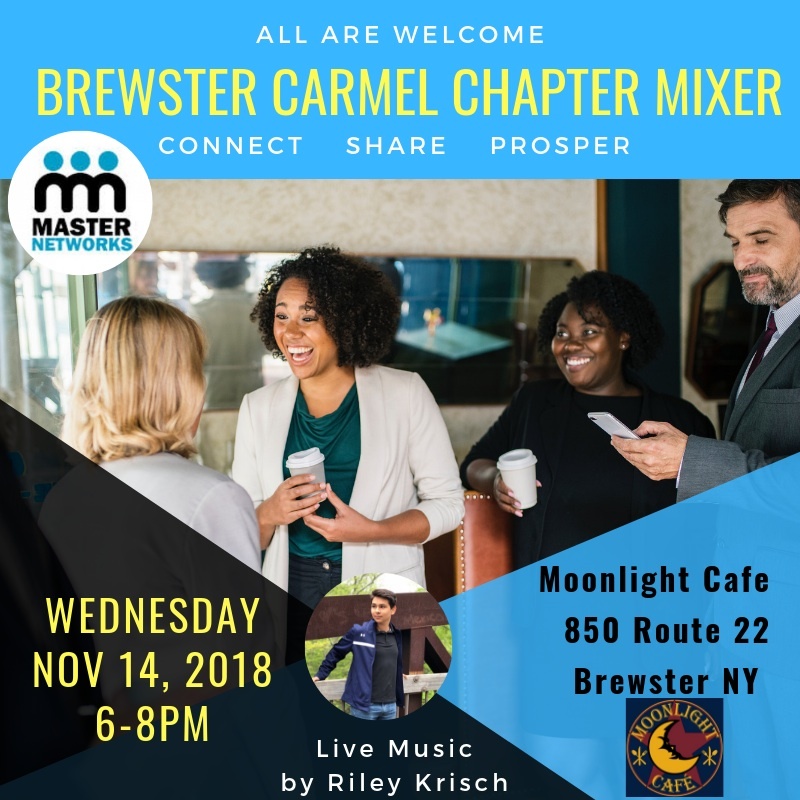 The Brewster-Carmel Chapter of Master Networks invites you to attend their November 14 Mixer at Moonlight Café 850 Route 22 in Brewster from 6-9pm. Moonlight Cafe is a “relaxed food joint” with a newly opened bar. They have a variety of food & beverages available for purchase including vegan options, desserts. kombucha & nitro coffee. Enjoy live music by Riley Krisch while you network with like-minded individuals. Learn how Master Networks can grow your business through building relationships and enjoy a great evening of conversation and connection. 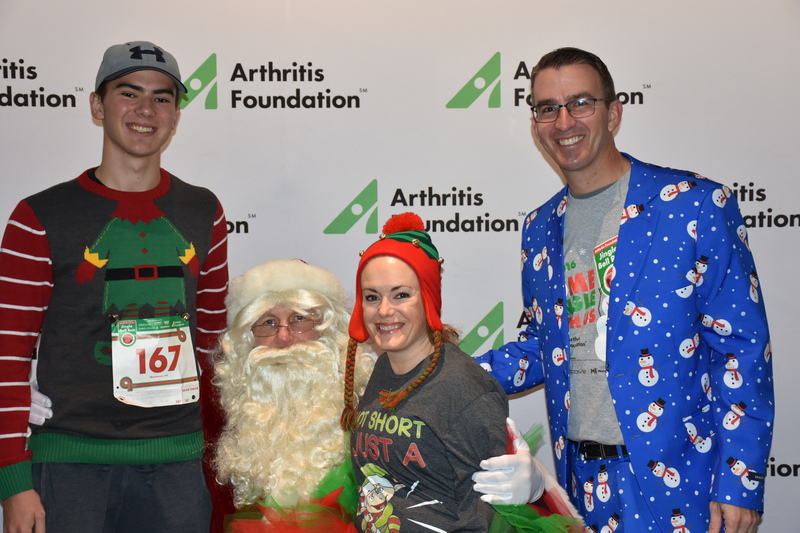 Westchester – The 2018 Jingle Bell Run for arthritis is bringing holiday cheer to Westchester on Saturday, December 8th with the goal of raising $129,150 this year. As over a thousand people gather at Purchase College to join the movement to conquer arthritis, this annual, holiday-themed 5K run, or optional one-mile walk, encourages participants to dress in festive costumes and get moving to raise awareness and funds to cure America’s #1 cause of disability. The Jingle Bell Run is nationally sponsored by AbbVie, CVS Specialty and Cheribundi. To learn more and register for the Westchester event, visit www.jbr.org/Westchester , or contact the Arthritis Foundation at 917-794-2638. 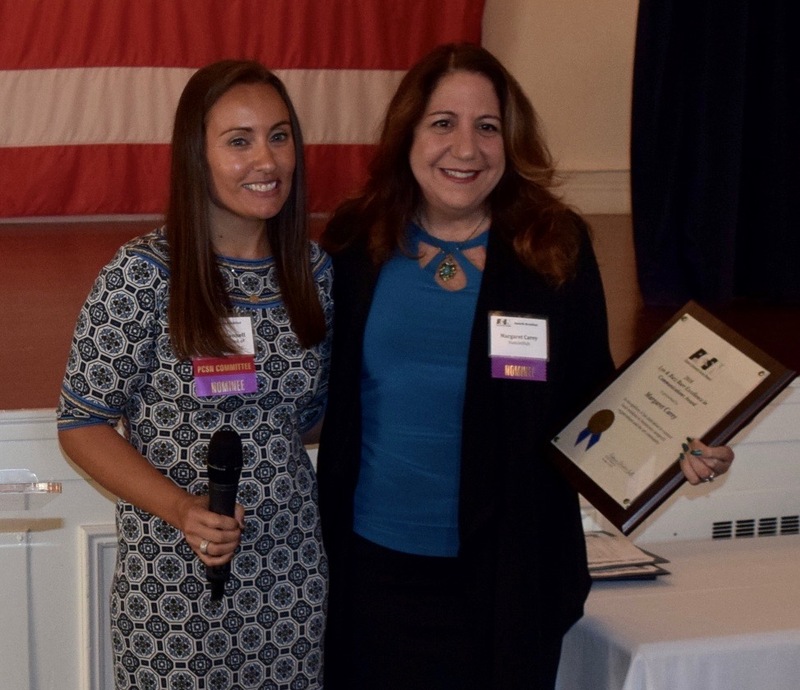 The Putnam Community Service Network Awards presented Margaret Carey with the Lyn & Buzz Burr Excellence in Communication Award on on October 3, 2018 at the PCSN Ceremony at the Putnam County Golf Club. The award is given to an individual or group who has exemplified commitment to community and human service in Putnam County during the past year in communication venues, including but not limited to, newspapers, radio, cable, newsletters, websites, presentations, etc. Ms. Carey was nominated for her work as an editor of HamletHub. 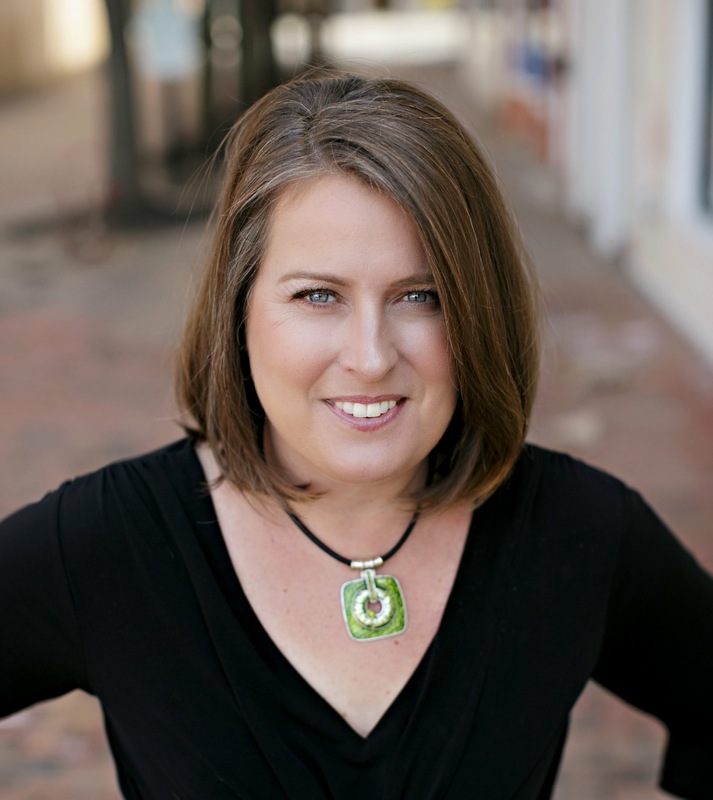 She started out with just a few online readers, but today thousands of area residents rely on HamletHub website and associated social media as their source of up-to-the-minute community news for Brewster, Carmel, and surrounding communities. Margaret uses the HamletHub platform to generate local news with a very personal touch that brings communities together and attracts an even larger following. HamletHub has a “feel-good” vibe that comes from Margaret’s passion to make the community a better place to live, play, and raise a family. Margaret also wears many hats. Her dedication to the Cultural Arts Coalition, Brewster-Carmel Master Networks, Brewster Music and Fall Festival, Carmel High School Drama Club and other local theatrical performances shows her true commitment to serving her community. You can sign up for the HamletHub Nightly Newsletter at www.BrewsterHamletHub.com and www.CarmelHamletHub.com or follow them on Facebook and Twitter. 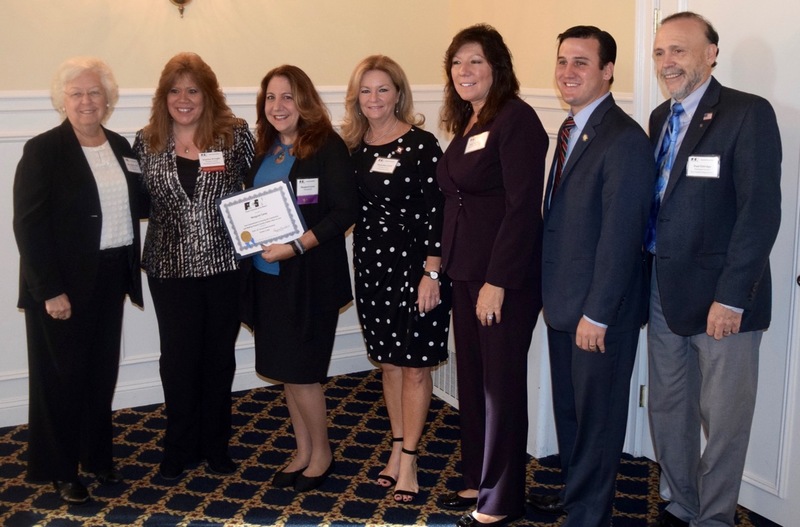 Congratulations to Margaret and all the nominees and award winners of the Putnam Community Service Network Awards. The PCSN is an educational program of Cornell Cooperative Extension of Putnam County. Lara Litchfield-Kimber, the Executive Director of the Mid-Hudson Children’s Museum (MHCM) has been elected to serve on the board of the Association of Children’s Museums (ACM). Lara joins a distinguished group of museum directors from around the world, and will serve a three year term, beginning October 1st. ACM is an international professional member service organization for the children’s museum field with more than 400 members in 48 states and 20 countries, based in Arlington, Virginia. The ACM is the only organization representing museums and professionals dedicated to early childhood play, the starting point in the continuum of lifelong learning. ACM collects data and trends, underwrites scholarships, and advocates by educating elected officials and stakeholders about children’s museums’ impact on children, families, and communities. ACM and its member organizations work together to identify major issue areas in which children’s museums can and are making a difference in the lives of children and families, including health, multicultural awareness, access, and the importance of play. The ACM’s initiatives closely align with the Mid-Hudson Children’s Museum’s mission and vision, as stated below. MHCM Mission: to empower young children and their families. MHCM Vision: a community in which each and every young child develops curiosity, confidence and self-worth. Named “2017 Best Museum” by Hudson Valley Magazine and Hudson Valley’s “2018 and 2017 Favorite Kid-Friendly Museum,” by Kids Out And About, the Mid-Hudson Children’s Museum is the ideal destination for families with young children. The Museum is located in the heart of the historic waterfront in Poughkeepsie, nestled between two city parks, just steps away from the Poughkeepsie Metro-North Train Station, and fabulous restaurants. The Mid-Hudson Children’s Museum is open Monday through Saturday from 9:30 am to 5:00 pm and Sunday from 11:00 am to 5:00 pm. Admission is $9.00 per person. Children under 1 year old are free. Memberships are available. Visit mhcm.org or call 845- 471-0589 for more information. The Patterson Rotary Club is proud to present this TWO-DAY FESTIVAL, which brings the best blues bands together and features mouth-watering barbecue. Come join us for a great end-of-summer music celebration. On Saturday, we feature a full blues lineup that includes Guys Night Out, Arthur James, Willa and Company, Petey Hop and Pat O’Shea. On Sunday, we have the musical talents of The Soul Proprietors, The Evan Balzer Trio, The Fresh Paint, the Dylan Doyle Band, and Shorty King. 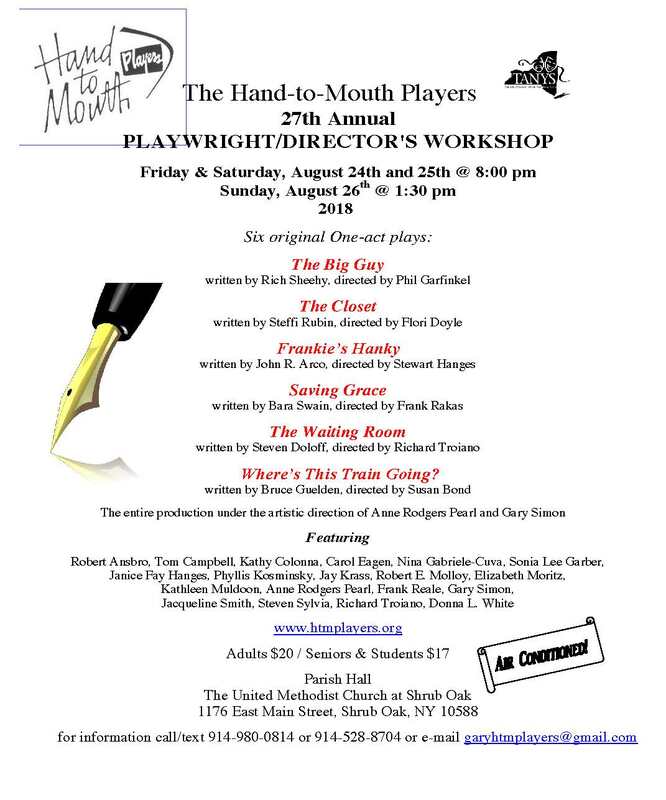 Presented by ACME Market of Patterson with additional sponsorship by Hamlet Hub of Brewster, Carmel, Somers, and New Fairfield; Clancy Relocation & Logistics; Carmel Winwater Works; the Cultural Arts Coalition and others. Check out our website for additional information at www.PattersonBluesandBBQ.com. The festival will also feature a Kid’s Corner with fun activities for children – so make sure you bring the entire family! There will be a “Vendor Marketplace” with a selection of vendors offering their specialties. Other offerings on both days include: beer and wine (Please have ID), ice cream and ices, soft drinks, pulled pork, BBQ ribs, burgers, hot-dogs, veggie burgers, fries, and snacks. Bring your blanket and lawn chairs, but please remember that no outside food or beverages are allowed. For more information or to become a sponsor, please visit www.PattersonBluesand BBQ.com or contact: rotarypaula@gmail.com. Follow us on Facebook: PattersonBluesandBBQ. What: A casual family friendly weekend of BBQ, live Blues, and kids’ activities. Cost: Free Admission and Parking. Food & Beverages for sale on the premises. Sponsors: Presented by ACME Market of Patterson with additional sponsorship by Hamlet Hub of Brewster, Carmel, Somers, and New Fairfield; Clancy Relocation & Logistics; Carmel Winwater Works; the Cultural Arts Coalition and others.